Integrating Ionic 2, Google Maps and Geolocation using Ionic Native Google Maps and Geolocation. There are some methods to integrating Ionic 2 App, Google Maps, and Geolocation. 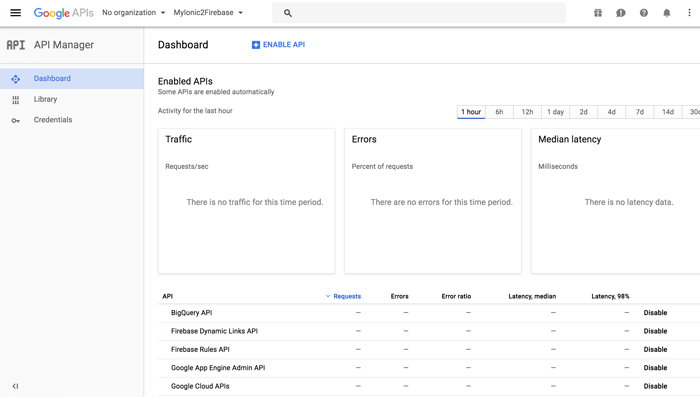 It can use native Android and iOS API or Web API. Right here, we will cover how to use Ionic Native Google Maps and Geolocation in Ionic 2 Maps app. 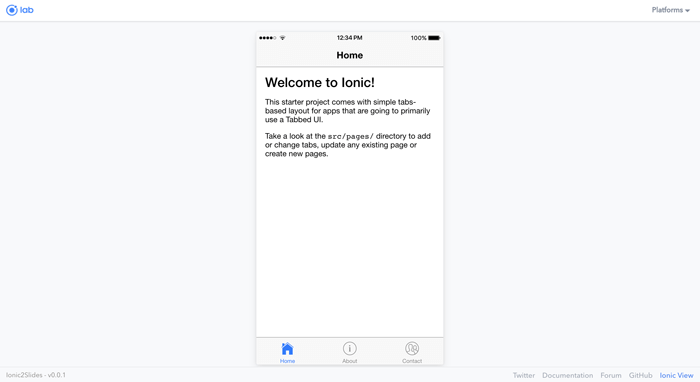 As usually, we will starting to build Ionic 2 app from scratch. Before we started creating an app, first we have to setup Google Maps API in Google Developer Console. Create a project or use an existing project. Click "+ Enable API" button. Choose Google Maps Android API in the Google Maps APIs category. Click "> Enable" link. Now, click Credentials menu then click Create Credential dropdown. Click API Key, after API key created popup shown, copy and paste the newly created API key to your notepad then close the popup. For iOS Google Maps SDK just enable it as the previous step but don't create API key again because we will use the same API for all platforms. Now, Google Maps API is ready to use. As usually, we have to create new Ionic 2 App. Open terminal or command line then go to projects folder. Type this command to create new Ionic 2 App. Go to the newly created project folder. As usually, we have to test run the app in the browser to make sure it's working. If you see this Ionic 2 tab app in the browser then everything is ok. Stop the app by push ctrl+c in the keyboard. Install or reinstall all platform that we will build to. For using native Google Maps with Ionic 2, install this plugin with this command. 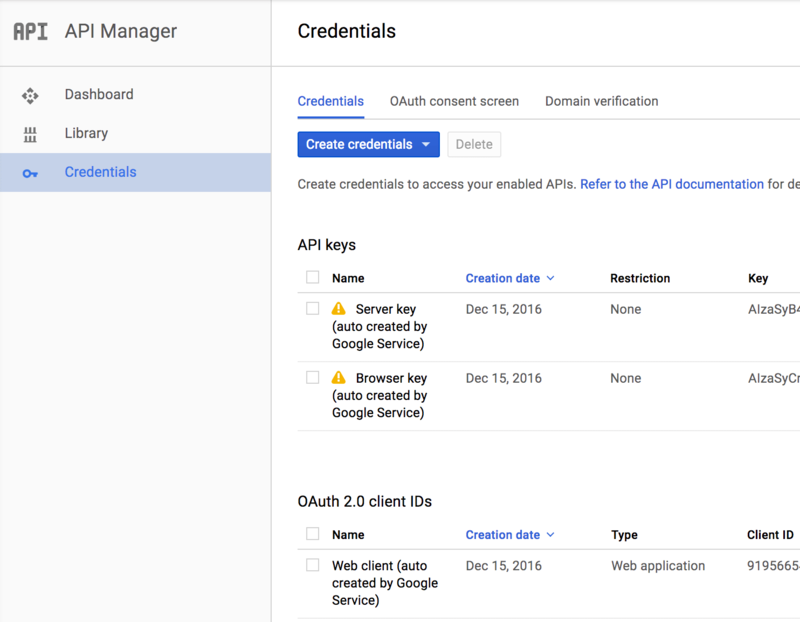 We can use same API Key for Android and iOS with previous API Key that we have created in Google Developer Console. Next, install Ionic-Native Google Maps component. We will display Google Maps on existing tab on tabs page. For that, open and edit src/pages/home/home.ts then add this import. Inject GoogleMaps in the constructor. Add this function and load it when the view is initialized. Call 'loadMap()' function in constructor and 'platform.ready()'. 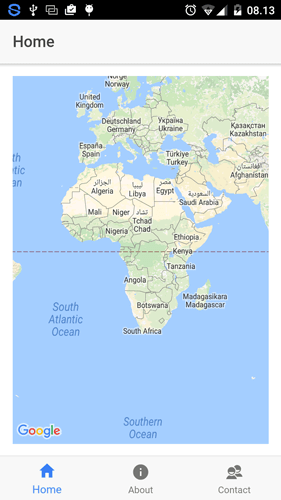 That codes will display simple Google Map without any attribute. Now, open and edit src/pages/home/home.html then add this lines of tags inside ion-content. Don't forget to remove the padding in ion-content. Open and edit src/pages/home/home.scss then add this style. To test app on the device make sure you connect data cable from device to your laptop or PC. Now, we start to test for Android. Type this command to run on an android device. You should see this map in your app of your Android device. For iOS, there's a little complicated because we need to create provisioning profile in Apple developer console and also register app id. We are not cover it right now, but to run the app in iOS device working perfectly from XCode. Type this command to build iOS. Open "xcodproj" using XCode then add Team to signing. Then run the app from XCode to the iOS device. To get current location of a device, we should install Ionic Native Geolocation plugin first. Type this command to install this plugin. Open and edit src/app/app.module.ts then add this import. Add this line to @NgModule Providers. Now, open and edit again src/pages/home/home.ts then add this import. Inject Geolocation in the constructor. Change function loadMap() to be like this. Now, run again Ionic 2 app on Android devices. You should get map point to your device location. For running on the iOS device you can refer to the previous chapter. Another feature from Geolocation is watching location. It means when device moving to another place Google Maps will always update the location of the current device. To do that just change the constructor to be like this. 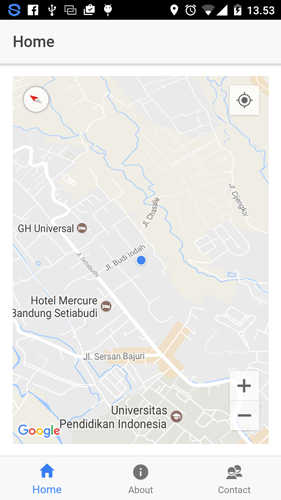 This is just simple example of using Google Maps and Geolocation, feel free to give us suggestions or error report to improve this tutorial.